The Hofburg Imperial Palace, the Conference Venue of ACM CCS 2016, reflects the royal side of Vienna. Since the city has many facets, we are very happy to announce two social events which will show you even more of Vienna! 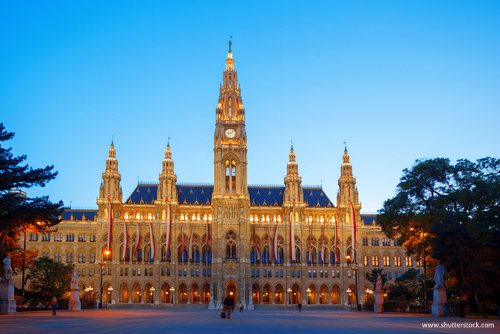 The Office of the Mayor of Vienna is inviting us to a Mayor’s Dinner at the Vienna City Hall. The dinner will take place in one of Vienna’s most beautiful ballrooms: the Festival Hall of the Vienna City Hall. The Poster / Demo Session will take place during this evening. Also, all CCS 2016 awards will be presented, including the SIGSAC Awards and Best Paper Awards. How to get there: Our student volunteers will guide you from the Conference Venue to the Vienna City Hall – it’s walking distance (8-10min). You can either join us at the meeting point in front of the Conference Venue OR come directly to the Vienna City Hall (a map will be provided at the InfoDesk). Please wear your badge, it is your ticket for the dinner; the Vienna City Hall will check all tickets! 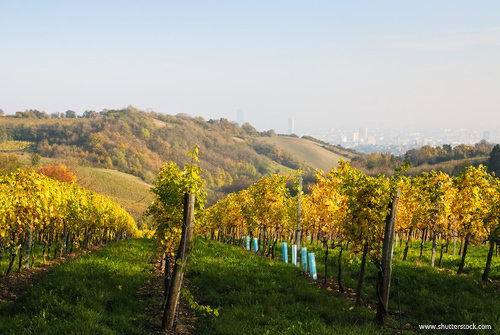 With 612ha of vineyards, Vienna is the only capital worldwide maintaining a large viniculture within the city boundaries. The “Wiener Gemischter Satz” is Vienna’s showcase wine which will be offered (pure or as “Spritzer”, i.e. mixed with sparkling water) at our CCS 2016 Traditional Viennese Dinner. This guided sightseeing bus tour will take you, in the course of 90 minutes, through the heart of Vienna. You will have the opportunity to take pictures of the sights and learn more about the city. The available seats are limited, but will be guaranteed for everyone who signs up and pays for the tour until Tuesday, October 13, 2016. Book your ticket using the booking form below! 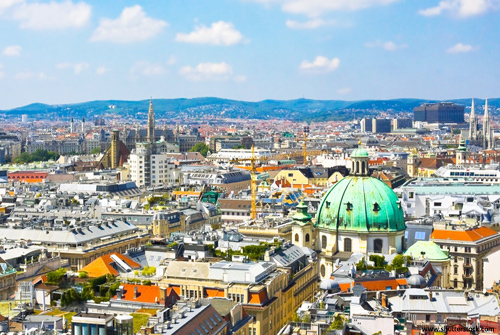 The tour follows the Vienna Ring Boulevard (“Ringstraße”) where you will see the City Hall, the Parliament, the Burgtheater, the twin buildings of the Art History Museum and the Natural History Museum as well as the large parks lining the boulevard. Next is the famous “Wurstelprater”, which is the oldest amusement park in the world, including the renowned Ferris wheel, one of Vienna’s landmarks. On our way back to the Hofburg we will stop at the Belvedere, a historic building complex consisting of two palaces (Upper and Lower Belvedere), the Orangery and the Palace Stables. Logistics: 19.05 Meeting Point in front of the Conference Venue entrance (after the CCS Business Meeting) 19.15 Departure of the busses, start of the tour 20.45 End of the tour at the Conference Venue The price of the tour (14 €) is not included in the conference fee and has to be paid in advance (using the booking form below). It does not comprise any handling- or other additional fee; we are just collecting the money in order to organize this tour.